TAKE A BOW It’s the cosmic finale for the Planck satellite, which measured the oldest light in the universe, the cosmic microwave background (shown). A spacecraft that revealed details of the hidden tapestry of the infant cosmos has had its last hurrah. 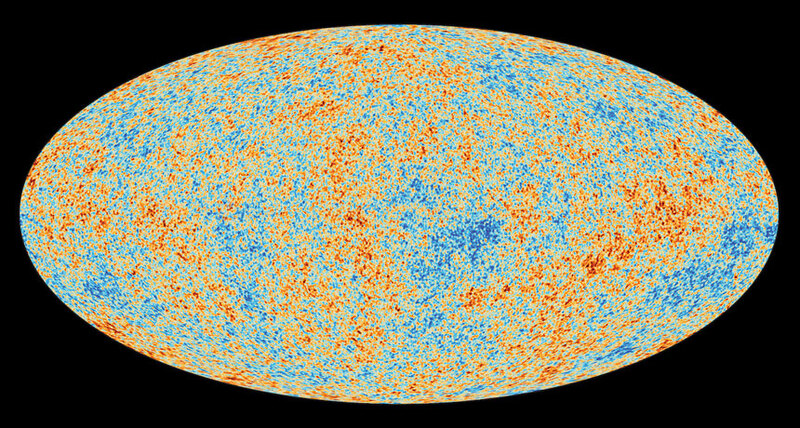 Scientists have unveiled the final result from the European Space Agency’s Planck satellite, which observed the oldest light in the universe — the cosmic microwave background — from 2009 to 2013. During its mission, the spacecraft provided new details of the intricate patterns woven into that light, across the entire sky. Now, a collection of postmortem papers posted July 17 at arXiv.org are the putting the finishing touches on the measurements, released in a series of studies beginning in 2010 (SN Online: 7/5/10). Since its launch, Planck has helped scientists settle on a detailed, cohesive story of the universe’s youth, its life history and its current properties, accounting for everything from the contents of the universe, to its age, to how fast it is expanding, and when its first stars formed. Now, that concept — strange as it may seem — has been strongly confirmed by Planck, leaving no other theories that come close to explaining Planck’s data. “There is no other player in town,” says cosmologist Shaul Hanany of the University of Minnesota in Minneapolis. “And the fact that there’s no other strong candidate is to a large extent a contribution of Planck.” That means that dark matter and dark energy are likely here to stay. According to Planck’s final tally, the universe’s matter and energy are divvied into about 68 percent dark energy, about 27 percent dark matter, and a paltry 5 percent normal matter — which includes everything we know and love. The fact that no one knows what dark matter and dark energy are “should make everybody uncomfortable,” says cosmologist Scott Dodelson of Carnegie Mellon University in Pittsburgh. But this picture, for all its quirks, explains Planck’s data extremely well, says. “We’re not living on the backs of turtles,” he says, referring to some cosmic mythologies that suggested the Earth rested on the creatures’ shells. Instead, scientists have staked their cosmology on the back of Planck. Mapping the cosmic microwave background across the entire sky at an unprecedented level of detail, Planck measured both the temperature of the light and its polarization, the orientation of wiggling electromagnetic waves. The observations provided an essential data trove, allowing scientists to catalog the universe’s properties to better precision than ever before..